Congratulations! You're engaged! Now what? 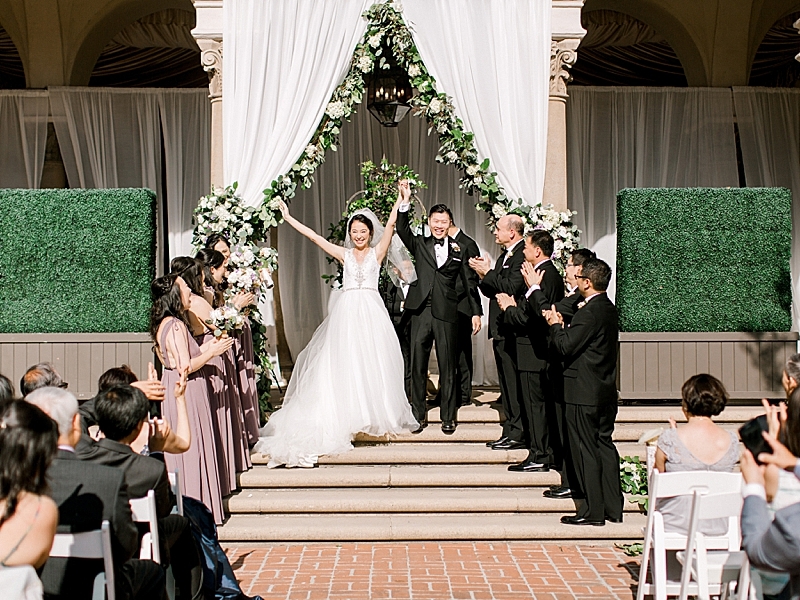 Like most brides, this is your first time getting married, which means after the excitement of telling friends and family dies down just a little, you’re wondering what the heck are you supposed to do and where to begin. So many details, dreams and thoughts floating in your head, and on your Pinterest boards – and the clock is ticking. But, there is no need to go into panic mode. Take a deep breath, put down the iPads, turn off the TV, grab your fiancé WITH a pen and paper and have a conversation about the following 7 things. Trust me, an uninterrupted and thorough conversation will save lots of potential stress and frustration down the road! This is the single-most important task you can accomplish BEFORE you even begin talking about flowers or your cake flavors! Between the two of you, you must determine what you are willing to comfortably and realistically spend overall, and how much family is or is not contributing. Knowing this amount will help you chart your planning path, keep costs from getting out of control, avoid confusion or hurt feelings and keep you on track. On the other hand, you may have a more "flexible" budget, which is fine too, but at least you will know where you need to go from this point with realistic expectations on what you can or are willing to afford. On a side note, if you plan on hiring a wedding consultant from the get-go, be HONEST about your budget so they can make the best recommendations possible. You don’t want to miss out on options that might be perfect for you, and conversely, be given options that you cannot afford. That is a huge waste of time for both of you. We are not here simply to spend your entire budget, but to help you spend it smartly. There is a big difference. 2. Create your guest listYour guest list has a direct impact on your expenditures. The more guests you plan on inviting means more food, plates, chairs, centerpieces, etc. you will need to budget for. It is so easy to want everyone you have ever had contact with in your life to be at your wedding, but really determine who is important to you to be there - enough so for you to pay for them to attend (and, do not create an "A list" and "B list" by inviting one list first and receiving responses before dipping into your second list - that is a no-no!!). If you have a strict budget, then it is OK to explain - to anyone who might be rude enough to ask - that you just don't have the means to invite everyone. Now that you have your budget, you need to think about the kind of wedding you want to have and how it relates to that number - big, small, extravagant, intimate, outdoor, indoor, as well as the decor of your wedding - elegant, vintage, beachy chic, etc. These details will help you determine if your budget can help you meet your expectations. For example, if you love all the crystals draped everywhere, dramatic architectural lighting, latest trends, hottest linen, lots of flowers and a lounge area is a must then this type of elegant-extravagant wedding is not realistic for a tighter budget. Determining your wedding style early on will also assist you in your search for possible venues that are appropriate for the look and feel you want to achieve. www.weddingwire.com have them) and calculate your line item budget for each service needed. This is an enormous stress-reliever to see what you can approximately expect to spend in each service area (since most couples have no clue how to break that down). This also can help you to prioritize your needs and wants and adjust accordingly. You may be willing to spend a bit more in one area and be willing to tighten up on or forego in another area to make everything work. Please keep in mind, however, that these budget programs are just to get your started and should never been taken at face value for your specific locale! Each city/state/region has their own market indicators on what average weddings cost taking into account the numerous factors that apply. Your personal style also has a big impact on costs. One of the biggest mistakes I see is couples who come up with a limp sum, throw a dart at how it needs to be divided up and then ask their vendors to meet “this” amount for their requests. This is not how to properly go about booking your services! You will end up frustrated and disappointed. If budgeting and prioritizing is making your head spin, then it is time to call in the assistance of a professional wedding consultant. Not only can they easily outline a proper budget based on your wedding style and needs, they will also help you be realistic on what you can expect with your budget, help you save money and avoid unnecessary expenditures - and surprises. 5. Choose your datesYes, I wrote "dates," plural. If you have your heart set on a venue you may need to be flexible on your date. Chances are, other couples like your favorite date and venue too so be prepared with a few dates in mind so if you find the perfect venue you can immediately secure it with a deposit. 6. Select your venueDevelop your short list of venues that fit your style and budget, set appointments to tour them within a 1-2 week time frame, make your decision and then secure it with a signed contract and deposit. And, remember, selecting your venue should be accomplished before finding your dress and ordering your save-the-dates! The venue you select can determine some of the style and overall vision for the wedding and you will want to make sure you achieve a cohesive look all around. 7. Hire a professional wedding consultantAnd, this doesn’t mean a on-site venue coordinator, but an independent, professional wedding consultant. They have two completely different roles, but both are equally important and another topic entirely. 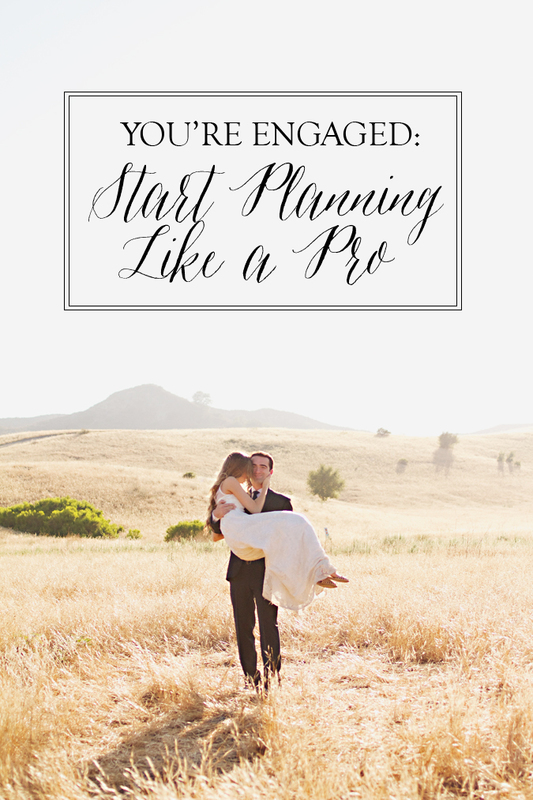 This step can fit in anywhere on this list depending how much you want to accomplish on their own first, but there is a reason wedding consulting is a profession. It is a full-time job! No wonder more and more brides are stressed out. They are trying to manage two full-time jobs - their career and planning their wedding with the help of Pinterest. 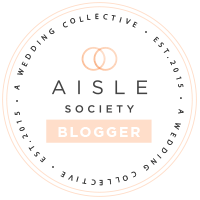 There is a huge misconception that because brides are creative, organized and assertive means that they can manage a wedding, while they are supposed to be the stars of the show. This is such a huge mistake! Planning a wedding is more than hiring a photographer, ordering flowers, selecting a venue and telling them where to be and what time the wedding starts. And, let’s be honest, what bride wants to field calls from vendors on their wedding day when they are trying to get their hair and makeup done? Not any I know. Realistic budgeting, streamlined vendor recommendations that fit your style and budget, etiquette advice, consistent communication, special industry discounts, long-standing industry relationships, proper timing for execution of the wedding, stress-relief, peace of mind and just plain ol' EXPERIENCE coordinating and executing weddings in a calm and seamless manner - are just a FEW things that a wedding consultant can bring to your special day! So, I hear some of you saying, I don't need to spend the money to hire someone to do the things that I can do myself. Really? Unless you can say that you have a track record of professionally managing events and are excellent at being two places at once, that glow won't be from happiness, but from sweat and stress, I can assure you! Weddings are hard work - mentally and physically. Why would you not be present on your own wedding day, enjoy the pampering, bask in the happiness of one of the most special days of your life and invest in peace of mind for your wedding day - the day you have been waiting for all of your life? The answers seem pretty simple. Editor's note: A HUGE thanks for SCB Vendor, Michelle Garibay Events, for putting together this article for SCB!